This study examined patterns of behavioral and emotional responses to conflict and cooperation in adolescents with anxiety/mood disorders and healthy peers. We compared performance on and emotional responses to the Prisoner’s Dilemma (PD) game, an economic exchange task involving conflict and cooperation, between adolescents with anxiety/depressive disorders (A/D) (N=21) and healthy comparisons (n = 29). Participants were deceived to believe their co-player (a pre-programmed computer algorithm) was another study participant. A/D adolescents differed significantly from comparisons in patterns of play and emotional response to the game. Specifically, A/D participants responded more cooperatively to cooperative overtures from their co-players; A/D girls also reported more anger toward co-players than did comparison girls. Our findings indicate that A/D adolescents, particularly females, respond distinctively to stressful social interchanges. 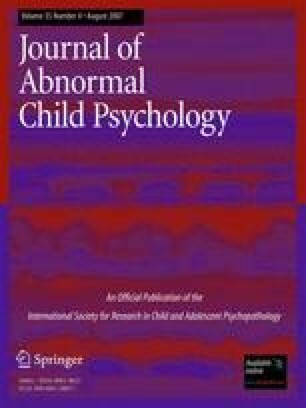 These findings offer a first step toward elucidating the mechanisms underlying social impairment in youth with internalizing disorders.